why is it called the ‘anti-smacking’ law? isn’t the new law working? has the law helped to stop child abuse? is there a connection between smacking and child abuse? why are groups like Barnados and Plunket supporting it? This citizens initiated referendum will be done by post. It will start on 31 July, and you will need to post your forms back by 21 August. The referendum came about because more than 300,000 New Zealanders signed a petition. 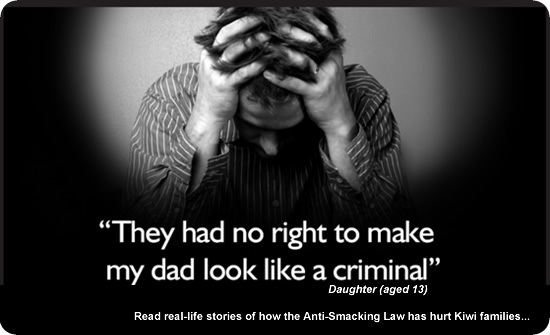 The petition demanded a nation-wide referendum on the question "Should a smack as part of good parental correction be a criminal offence in New Zealand?" The polls are consistent. They show that the majority of Kiwis are opposed to the anti-smacking law. 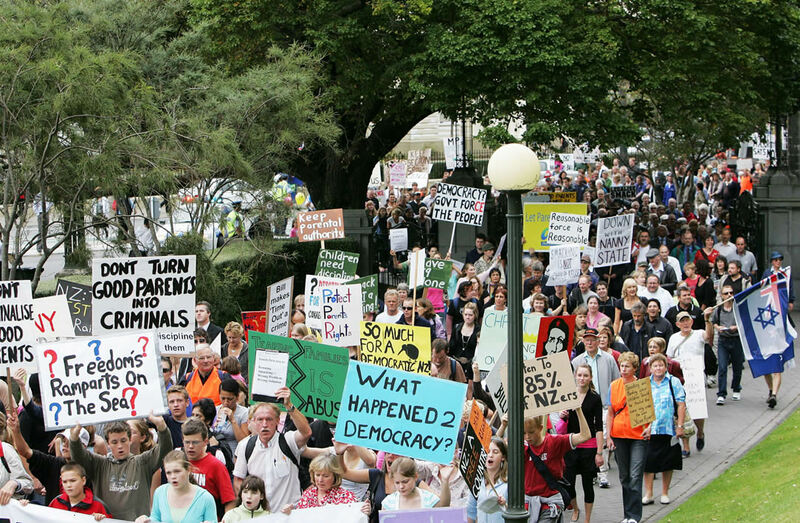 Thousands of New Zealanders marched in protest of the anti-smacking bill in Christchurch, Wellington and Auckland. Hundreds of thousands of us signed the petition so that we could have a chance to vote no in the referendum.